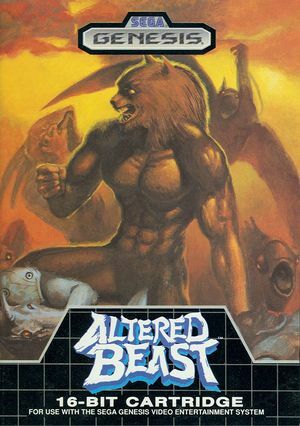 In Altered Beast enter a time when men were warriors and Gods ruled the world. A time of good against evil, a place of danger. Summoned by Zeus to rescue Athena, you will infiltrate the Underworld with the power to transform into mythical creatures with supernatural strength. Level 1: Become a savage Werewolf and use teeth and nails to shred your enemies to pieces. Capture 3 of the elusive Spirit Balls and you'll be transformed into a ferocious, fireball throwing Werewolf. Levels 2 & 3: Take flight as Weredragon and use fiery force to fry the followers of Neff. Creep across slippery crevasses inside a deep cavern as the crafty Werebear. Levels 4 & 5: Stalk the gates of the Underworld fortress as a man-eating Weretiger, a predator with no pity. Inside the inner sanctum call on Golden Werewolf's might to demolish Neff the demon - forever! The graph below charts the compatibility with Altered Beast since Dolphin's 2.0 release, listing revisions only where a compatibility change occurred. This page was last edited on 31 December 2017, at 18:38.